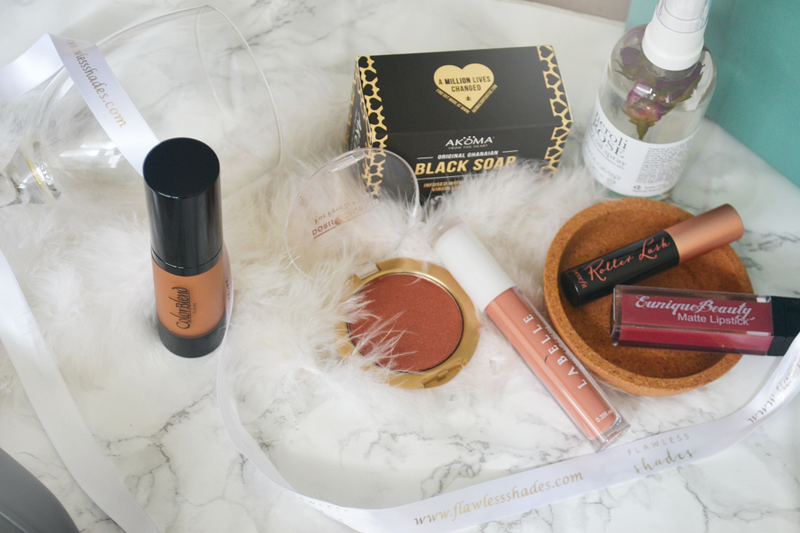 It must have been back in the summer now that I was contacted by the Flawless Shades team and told that they are a new start up working on launching an online make-up and skincare platform specifically catering to darker skin tones; their aim simple – “to offer more choice for those with darker skin.” Of course, being a dark skin gal myself, I loved the idea, and signed up to sit on their #FSCollective panel as well as personally signed up to become one of their biggest behind the scenes supporters! I was telling Levi a bit about the idea and let him know that specifically for items such as foundations, concealers and even contour, us darker skin ladies really tend only to stick to the higher end products as we know that’s where we’re more likely to find our tone. For example, foundation wise I tend to shop almost exclusively at MAC because I can be sure that they’ll stock a range of shades and that’ll they’ll get it right. I also told him growing up how all of us who of course at the time couldn’t afford to be buying a £30+ bottle from MAC whenever we needed to restock would focus on one and only one foundation – raise your hands if you ever used Maybelline’s Dream Matte Mousse in the colour Cocoa? Every girl I know used that and we most definitely were not all the same shade – but as school kids, that’s really all that was on offer for us. 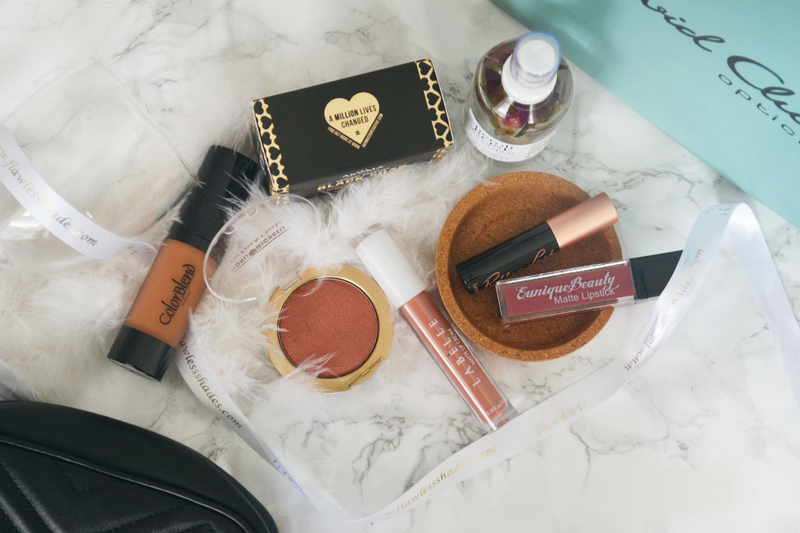 Well, Flawless Shades partners up with a number of high end, as well as upcoming brands, and stocks their products on their website. 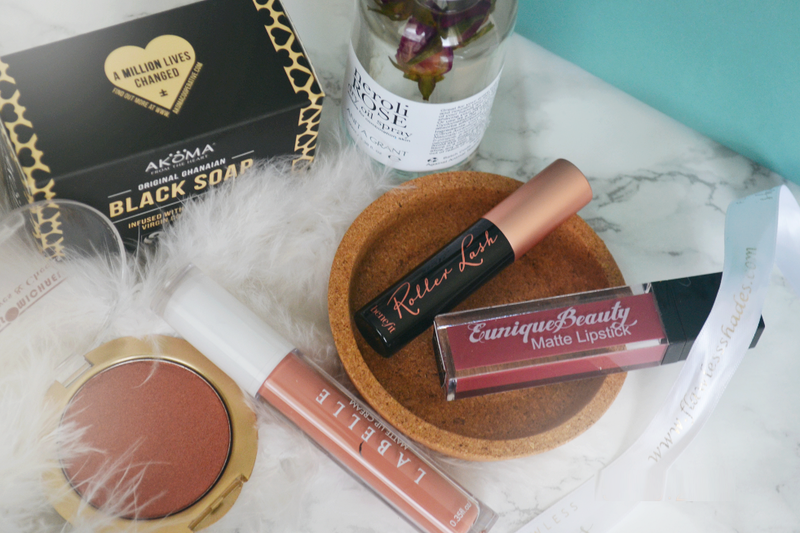 Essentially – it’s a one stop shop to get everything you need if you are indeed of a darker skin tone (and, to be honest, any skin tone – as they stock such a wide range!). I was sent a few of the products from their site and wanted to share not only what I got, but my first thoughts too! For this foundation I went with the colour ‘Kavella’ just judging off of what looked either too light or too dark on the website. I would say the colour overall suits my skin tone very well so as you can imagine I’ve already used it quite a few times since receiving it. One thing about me if that I am an absolute sucker for a dewy finish foundation, it’s all I really go for, and I can confidently say that this does give that effect. Whilst it is a ‘HD foundation’, it is not too full on and your skin does not look too caked with this on, it’s actually has quite a light finish, whilst I’m typically used to more medium to even heavy foundations. It’s quite a runny foundation so be careful how much you squeeze out, but it blends in wonderfully. On the FS website there are quite a few variations on offer across all shades and I can say I would recommend and a choice foundation this especially for the very pretty £20 price tag. This is some sort of multi purpose godly spray in a bottle – you can use it on your face, your body, your hair; it’s vegan friendly, vegetarian friendly, cruelty free; it has some random but pretty cool flowers floating around inside the bottle and it smells absolutely bomb. I opted to use this on my hair in the end as I am a big hair oil lover and it definitely does not leave my hair feeling too oily, is great at detangling and does indeed make me want to sit at my desk smelling my hair all day. It’s quite pricey for an oil but I can attest to the fact that you’re getting a ton of product in the bottle. I got this cheek blush in the colour ‘sunset glow’, but before you dive in and end up looking like a clown (as I did at first) – I’ll point out that this product is super pigmented! Overall, I seriously love this shade, I feel like the colour truly complements my skin tone so well; a lot of the blushes I get, if going down the pink-y route, tend to be a lot more rosy, however this is a more deep colour which seems as though it was made for my shade. This colour also has glitter specks in it – some people can’t stand that in a blush but I think it adds to the overall glow so long as I’m not heavy handed. For this product, there are a range of interesting colours including a purple-ish shade which I think would be really interesting to try out. This product is not necessarily completely suited to me as it curls lashes and my lashes are already super curly naturally as it is, however I’ve still been using it none the less as my main mascara and I’ve been loving it. The best thing about this product is that is simply does. not. clump. In fact I think its the least ‘clumpable’ mascara I’ve ever tried before. I would 100% recommend it! Finally, I received a Labelle Makeup Matte Lipcream (£9.99) in the colour ‘Bare’ and a EuniqueBeauty Matte Lipstick in ‘Queen’. Both of these are super pigmented and hence require some very controlled application, although they both are great colours depending on what the occasion is. With Autumun here the darker colour from EuniqueBeauty is likely something that I will be reaching for – it dries down matte very quick and is incredibly long lasting and actually extremely hard to remove. And that’s it for my first views on what Flawless Shades has to offer. Having a quick browse of their website now, I see that they have tons of products on offer to satisfy whatever you’re looking for – from toners, to palettes, to tools and more. For beauty lovers – this is a great stop for you. You can use my code KEMI10 for £10% off for first order / any order >£20 – enjoy your shopping, ladies! !